Australian tiger snakes have "hit the jackpot" because prey cannot evolve resistance to their venom. While that may sound foreboding, University of Queensland School of Biological Sciences expert Associate Professor Bryan Fry said this discovery had medical benefit for humans. That's because tiger snake antivenom has an extraordinary level of cross reactivity against other snake species, and can therefore neutralise the lethal effects on humans in snakebite cases. 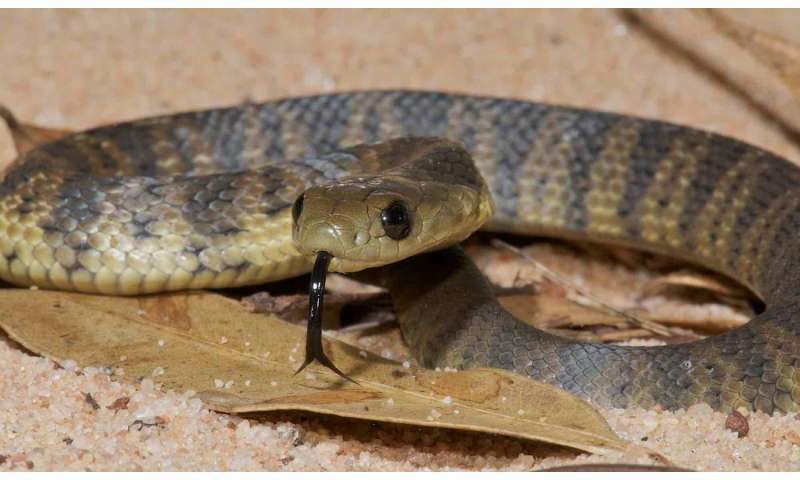 "The level of conservation in the toxin sequences is not only really unusual, but this is why the corresponding tiger snake antivenom is so useful in treatments against bites from many Australian snakes that affect the blood in the same way," Dr Fry said. "No other antivenom in the world is so spectacularly effective against such a wide range of snakes this way and now we know why." Dr Fry said the research had overturned a central paradigm of venom evolution. "A long-held belief is that snake venom varies with diet - that is, as the snakes evolve into new species and specialise on new prey, the venom changes along with it," he said. "Our research has shown that tiger snakes and their close relatives have toxins that are almost identical, despite this group of snakes being almost 10 million years old. "We worked out the reason was that the toxins target a part of the blood clotting cascade that is almost identical across all animals. "So we have a new addition to the theory of venom evolution; that when the target itself is under extreme negative selection pressure against change, then the toxins themselves are under similar such pressure. "This is a novel twist to the chemical arms race which most snake venoms evolve under. But it is one with direct human benefit since this is why tiger snake antivenom is so effective against treating the effects on the blood by quite a few other Australian snakes. No other antivenom is so widely useful." Dr Fry said normally, snake venom placed pressure on the target so that animals with some variance were more resistant to the venom, which in turn put pressure back onto the venom for change. "In this case, if the animals had variation in their blood clotting proteins, they would die because they would not be able to stop bleeding," he said. 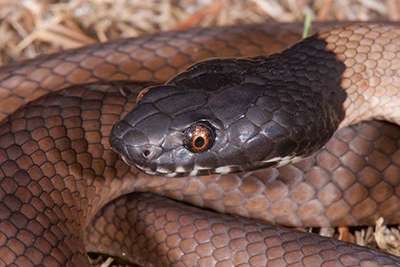 Dr Fry's team studied the venom of 16 tiger snake populations from across Australia including five island populations in the Bass Strait, and venoms from 11 other snakes in related genera. "This is the most comprehensive examination of this clade of medically important snakes ever undertaken, including the first examination of the venom of the enigmatic Lake Cronin snake from Western Australia," he said. "This study is a great example of the human medical benefits that can come from studying evolution." The study involving researchers from UQ's Venom Evolution Lab, Swansea University, UK, University of Melbourne, Venom Supplies South Australia, Snakes Harmful & Harmless, Western Australia, and the Fauna Vet Wildlife Veterinary Consultancy, Beerwah, is published in Comparative Biochemistry and Physiology, Part C.